Not nearly finished, but well underway- Presenting Miss Fish. Based on this lovely tintype photo from the 1880s. The tiny original is, in the manner of its time, Photoshopped, with the eyes retouched, and colour added to her cheeks and earrings. This one, painted using my trusty Wacom Intuos 4. 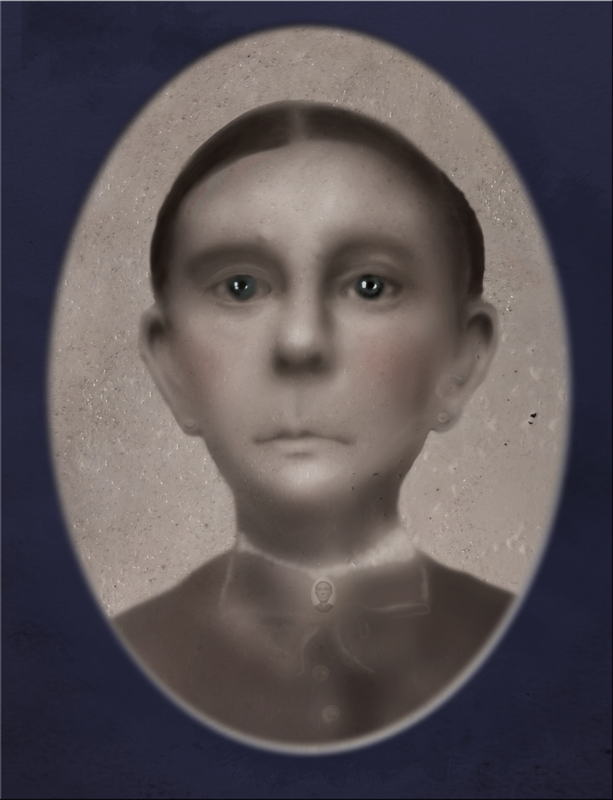 This entry was posted in digital, painting, Photoshop, portraits and tagged Amanda Fish, digital paint, Miss Fish, tintype. Bookmark the permalink.